A motorist’s car was seized and his home searched after the driver was found to be in possession of drugs. A PSNI spokesperson said: “On Tuesday, officers patrolling in Carrickfergus stopped a motorist and conducted a search under the Misuse of Drugs Act. A quantity of Class B illegal drugs was found. 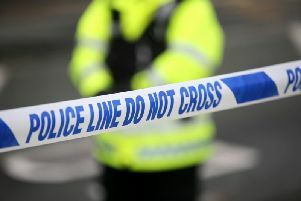 The vehicle was seized by police and a search of the driver’s house was carried out. During this search, further illegal drugs were uncovered. One person has been arrested and enquiries are continuing. Police say that anyone worried about illegal drug use in the community should call the confidential CrimeStoppers number on 0800 555 111.